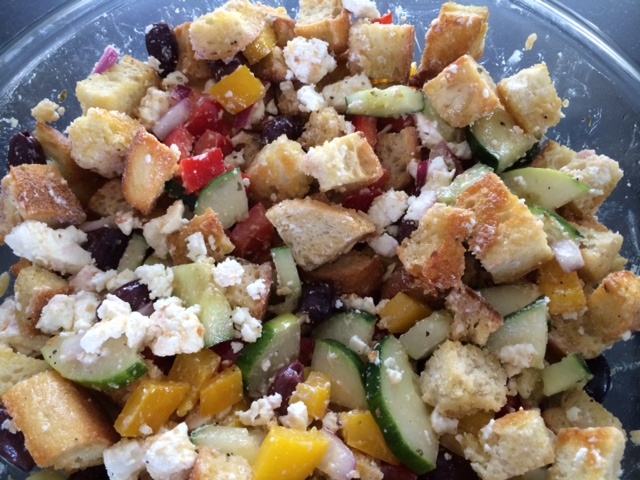 Greek Panzanella | Om nom nom! Toss bread with olive oil and a bit of kosher salt. Toast at 350 until lightly browned and crisp.